When Colleen Bailey walked into her local Dunkin’ in Rockland, Maine, she knew she would get donuts and coffee. She didn’t know she’d fall in love, get married and eventually own nine Dunkin shops of her own. “Ed owned the Dunkin’ and I lived right up the street from it. That’s how we met,” says Colleen. That was in 1972, the year Ed Bailey bought his first Dunkin’. Before that, Bailey spent seven years working for Dunkin’ Brands. “I started with Dunkin’ because of an ad I read in the Boston Globe in 1965. They only had about 100 stores at that time,” Bailey remembers. At corporate, he worked in different roles, including as the head of Dunkin’ Donuts University and performing quality control. Yet on an impulse, Bailey decided it was time to leave the brand and open his own Dunkin’ Donuts restaurant. 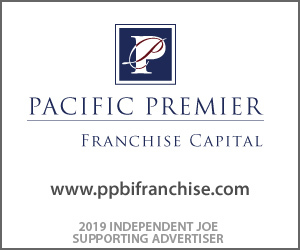 While working for the brand helped him as a franchisee to understand the processes and procedures and the brand’s line of thinking, his time as a franchisee was short-lived. “Corporate called me and asked if I’d be interested in doing some special assignments. I said ‘yes.’ Then I sold the store,” Bailey remembers. While the Baileys met at Ed’s first store, they didn’t date until a few years later. After Ed sold his store, he was in North Carolina working for the Brand and Colleen continued to work as a manager at Sears in Maine. In 1978, when Colleen married Ed Bailey, she was still working at Sears. Although she knew the retail business, she didn’t have a desire to be part of Dunkin’. 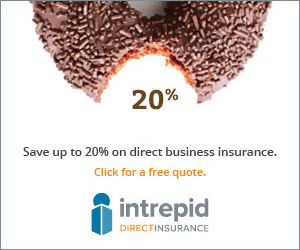 “At the time, I wasn’t interested in the donut business,” says Colleen. “As we had our four children, Ed traveled a lot for the brand, and so I became a stay-at-home mom, volunteering a lot of time at the kids’ school and in the community. Colleen also worked at the kids’ school bookstore for five years as the manager, purchasing supplies and stocking merchandise. Ed Bailey’s role at Dunkin’ required him to travel throughout the United States to help open new stores. During the 1980s, he even spent a lot of time in Canada. 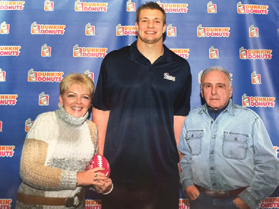 When he decided to retire in 2001, after 36 years in the business, Colleen got the itch to dabble in Dunkin’ herself. Today, the Baileys own nine stores throughout Maine, including one in Unity, a town in which both of their parents and grandparents lived at one time, they recently discovered. “It just seems Dunkin’ was meant to be part of our family,” says Colleen. While the Baileys have plans to grow their business, they don’t have any plans to spread outside of Maine yet. Dunkin’ is already in the blood of all the Bailey kids. Three of them are currently involved in the family business. Their son Scott is in his 11th year with the brand working in the same role his dad did years ago, while their son Matthew works as general manager of the family’s network. Their only daughter Katrina works part-time, helping her parents with the financial end of the business. At least once every week, Colleen and Ed together visit all their stores. The Baileys also value creating a community feeling around their stores. They volunteer at many Chamber of Commerce events in each of the towns where they operate stores. 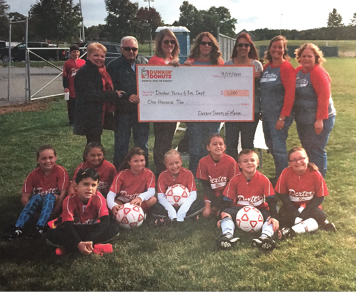 The Baileys are passionate about volunteering their time to the Red Cross. They support the Special Olympics every year, as well. Politically, Ed and Colleen stay focused on advocating for franchisees. They’ve met with local representatives at the State House in Augusta, and have traveled to Washington D.C. to talk with senators and lobby for franchisee legislation. Colleen is active on several committees. She is on the Maine Dunkin Ad Committee, which has allowed her the opportunity to help make decisions on product advertising, and has been a frequent guest on local radio and television stations. She is co-chair of her District Advisory Council (DAC) and sits on the Regional Advisory Council (RAC). 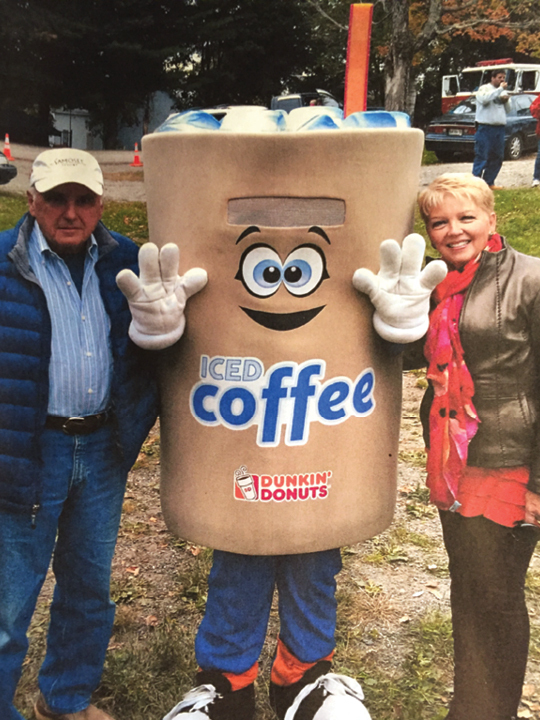 She also serves on the Development Committee and hopes to one-day continue her service to the Dunkin’ franchisee community by serving on the Brand Advisory Council (BAC). Of all the Baileys do, they both agree their favorite part is meeting people. “It’s a people business. You’ve got to love people in order to survive,” says Ed. While being franchisees can be difficult and requires tireless hours of hard work, Colleen says it all comes down to this.